As the number of trains carrying volatile North Dakota crude oil through Washington grows, railroads are coming under scrutiny. 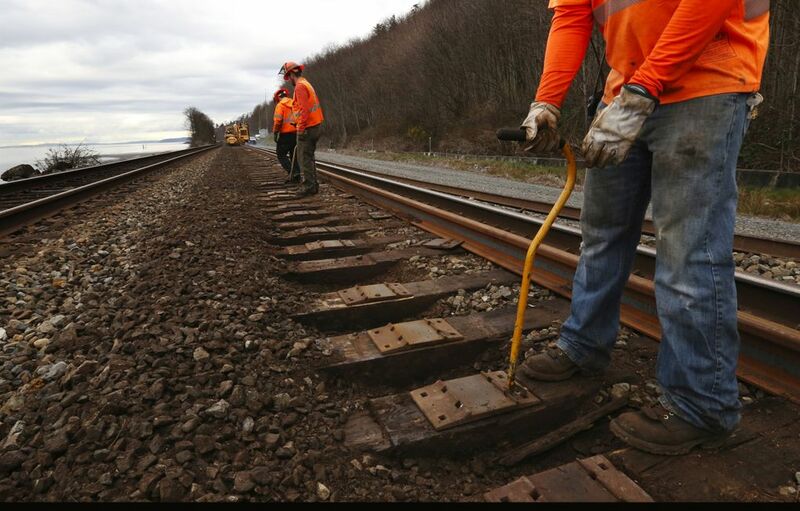 On a stretch of track near Edmonds, workers spent Friday cutting out old rails and welding new sections with upgraded steel. 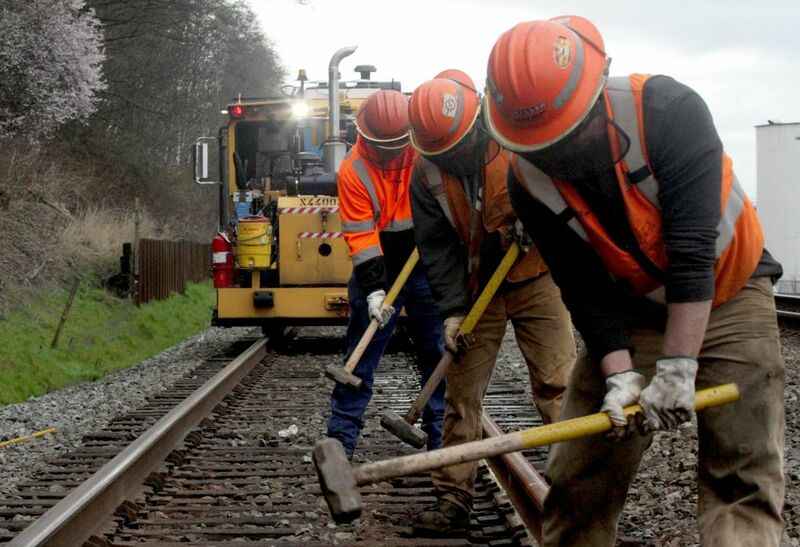 This 45-person crew will work their way north toward Canada, while other crews fan out to Eastern Washington and the Columbia River Gorge in a $189 million statewide effort this year to maintain rail lines carrying cargo that includes volatile crude oil from North Dakota. 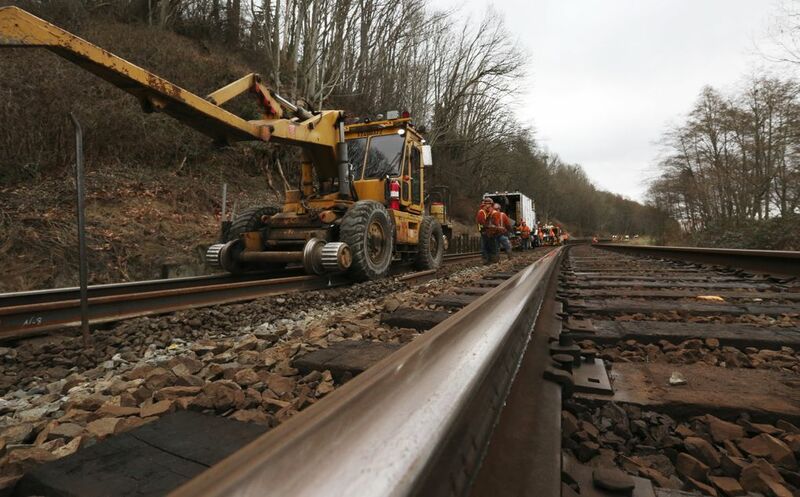 “We don’t control what we haul, but we do control how we haul it, and a strong track structure is a critical component for safe transportation,” said Gus Melonas, a spokesman for BNSF Railway, which is financing the work. 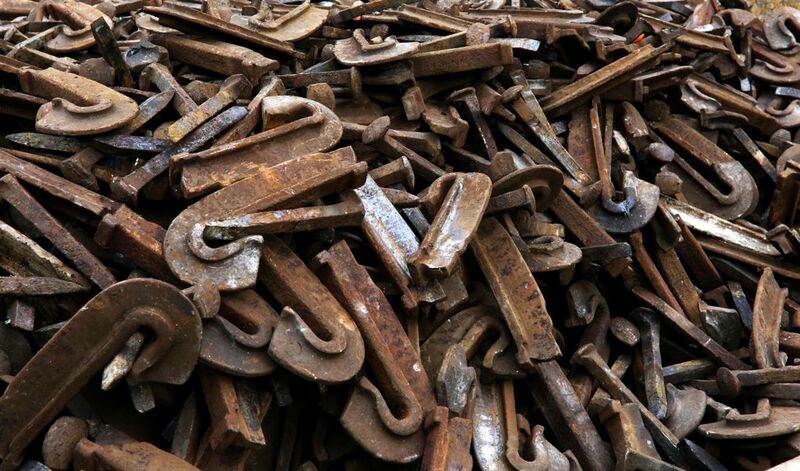 Railroad operations have come under scrutiny nationwide in the aftermath of fiery derailments of trains carrying North Dakota crude shipments elsewhere in North America. In the most recent one, on Monday, 19 derailed cars in West Virginia caught fire, resulting in the evacuation of two towns. 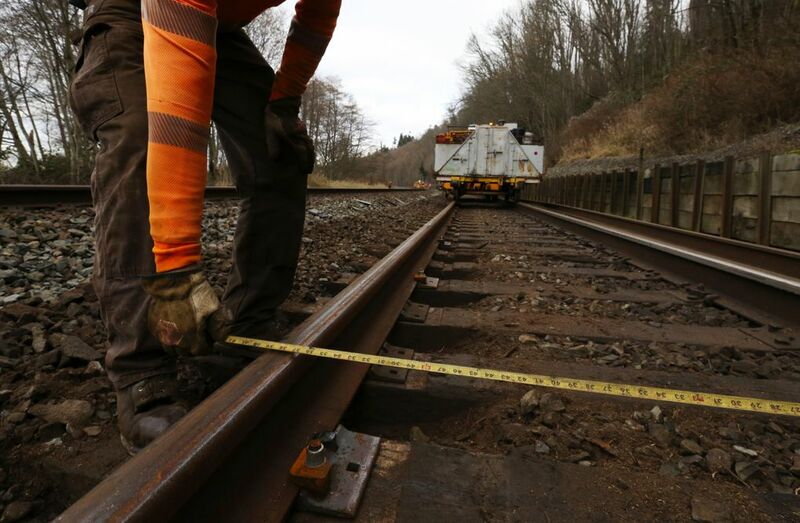 In Washington, oil-train traffic raises the stakes of what could happen in a major accident, and state regulators are asking the Legislature for more authority and more money to watchdog railroad safety. Trains dedicated to carrying North Dakota crude began running in Washington in 2012. 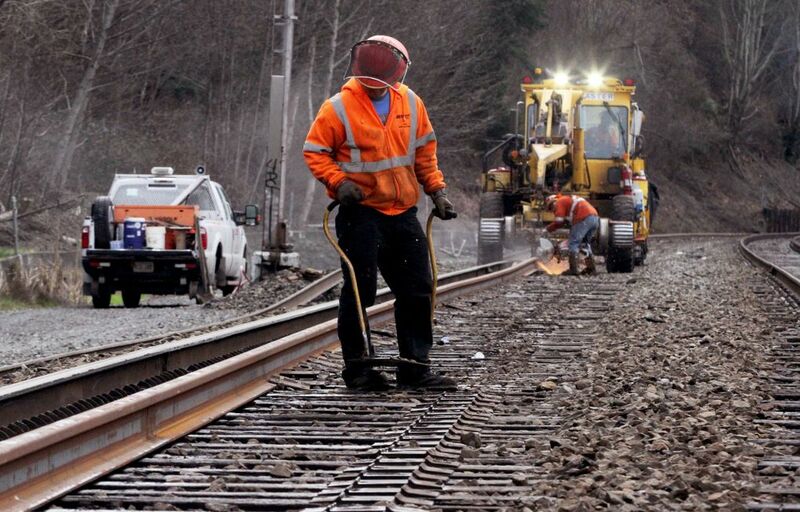 Over the past year, 19 trains a week have moved through the state, with each train typically carrying more than 2.9 million gallons of crude in about 100 cars. In Washington, the only derailment involving this crude was an incident in Seattle last July, when four cars crawling along at 5 mph went off the track. While the accident caused more than $200,000 in damage to equipment and the railroad, no crude was released, according to a federal accident report. The state Utilities and Transportation Commission also is investigating three separate incidents when tanker cars leaked oil. 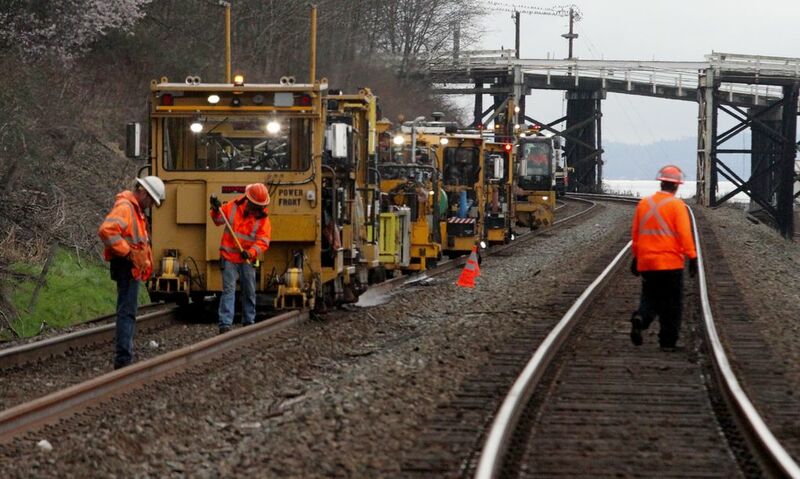 The most recent occurred Feb. 14, when a tanker car in Seattle had a slight stain around a valve created by a few gallons of leaked oil, said Melonas, of BNSF. “There is much focus on these cars, and we are keeping eyes on them,” he said. The shale oil still is a small percentage of the total freight hauled through Washington, and derailments with other cargo happen every year. 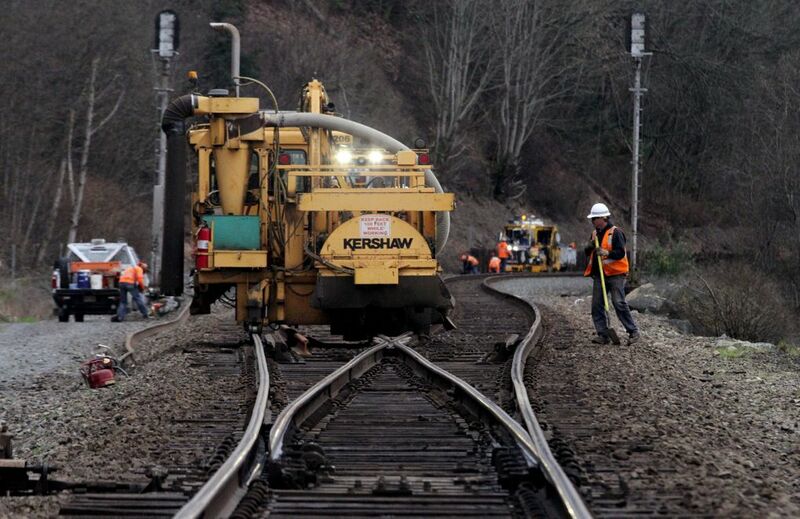 From 2006 to 2013, there were more than 125 derailments on main lines in Washington, according to reports filed with the Federal Railroad Administration. None resulted in the release of any hazardous cargo. The oil trains travel the breadth of the state as they traverse Eastern Washington and the Columbia River River Gorge. Some head north to supply state refineries, while others carry oil bound for California refineries. West Coast refineries began buying North Dakota oil as production surged from the Bakken shale fields. Since there was so much crude in North Dakota, and a lack of pipelines to take it to market, the oil sold at a discount compared to Alaska crude and foreign oil. Tesoro, which owns a refinery in Anacortes, has applied for permits to develop a major terminal in Vancouver, Wash., that would transfer crude sent by rail from North Dakota to vessels for shipment elsewhere. At full capacity, the proposed terminal could handle 28 trains a week traveling through the state. 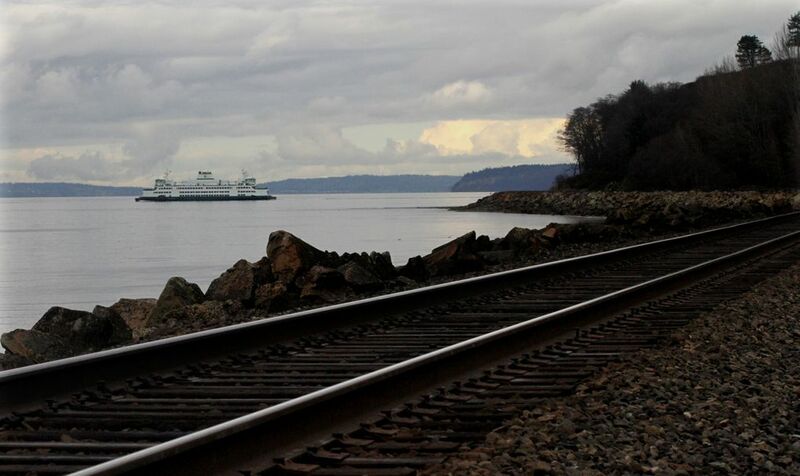 A draft Washington state study forecasts that by 2020 overall tanker train traffic through Washington could more than triple. But that expansion depends on favorable oil pricing that makes it worth shipping North Dakota oil by train to the West Coast. In January, as global oil prices bottomed out, shipping North Dakota oil wasn’t as affordable. In February, as a glut in U.S. inventories increased, this crude appeared to be regaining its competitive edge, says Afolabi Ogunnaike, an analyst with the energy consulting firm Wood Mackenzie. Some efforts to improve the safety of shipping Bakken shale crude start in the oil fields. The volatility of Bakken crude is higher than other U.S. crudes because of elevated levels of gases such as ethane, propane and butane. In some accidents, the Bakken shale oil has burst into fireballs when it was exposed to sparks or other igniters. In an effort to improve safety, North Dakota regulators in December placed a maximum vapor pressure limit on Bakken shale crude. Any oil above that limit would have to be treated to remove some of the volatility. E.J. Ledet, a former oil-industry chemist who resides in Bellingham, said it is difficult to get an accurate measurement of the volatility of Bakken shale crude. That’s because testing procedures were developed for less-volatile crudes. 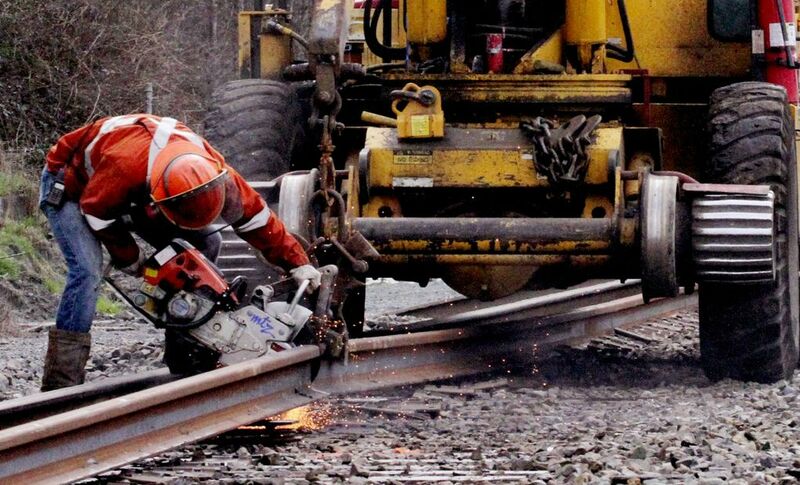 Without better testing techniques, he says unstable crudes could continue to find their way on to rail cars. 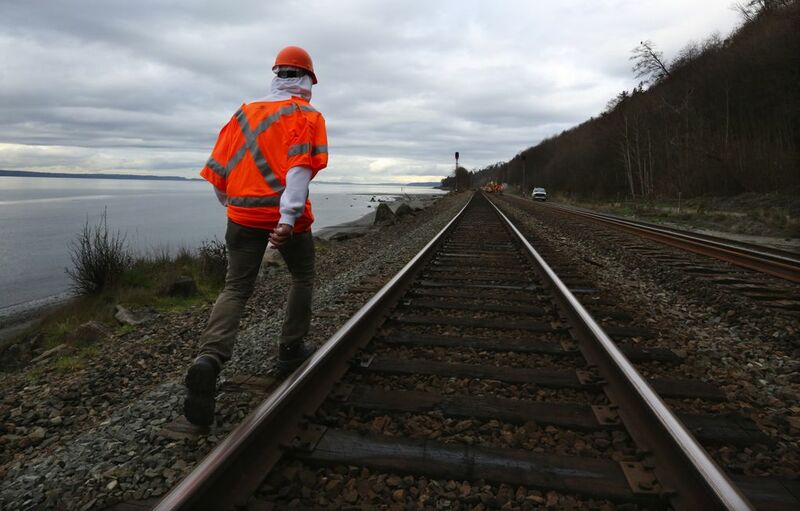 “You can’t sacrifice safety and the environment, and it’s a concern to me because I have a friend who lives right by where the trains go into the Puget Sound refineries,” Ledet said. Federal regulators also are proposing that older-model tankers be phased out. 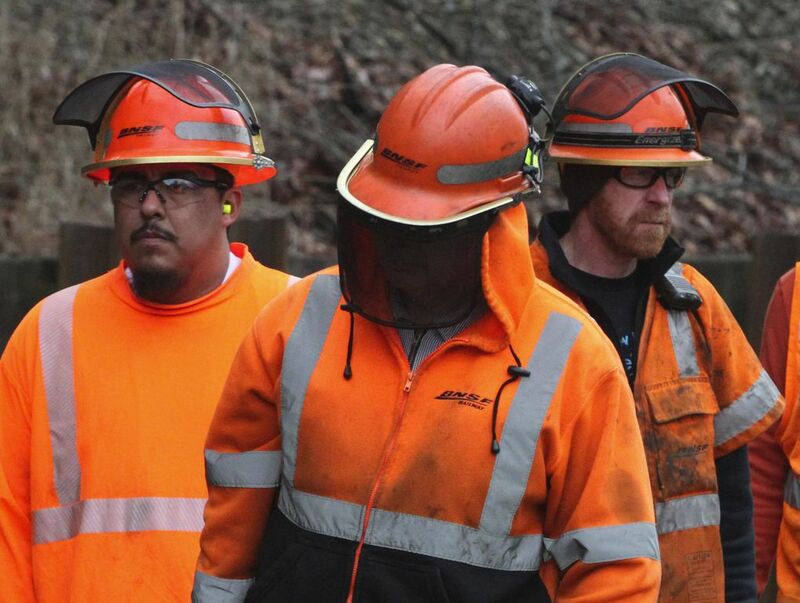 On BNSF trains that move through the state, about 80 percent of the cars are newer models, according to Melonas. Recent state surveys have found trains with 100 percent of the newer models. But the newer models still are vulnerable in a derailment. The tanker cars that burst into flames in West Virginia on Monday were newer models. 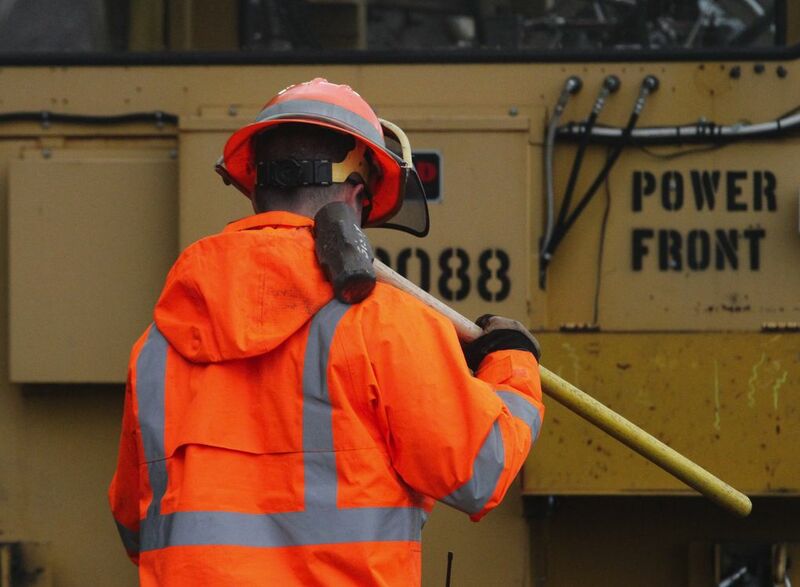 At the state level, safety oversight of the railroad is the responsibility of the Utilities and Transportation Commission (UTC). 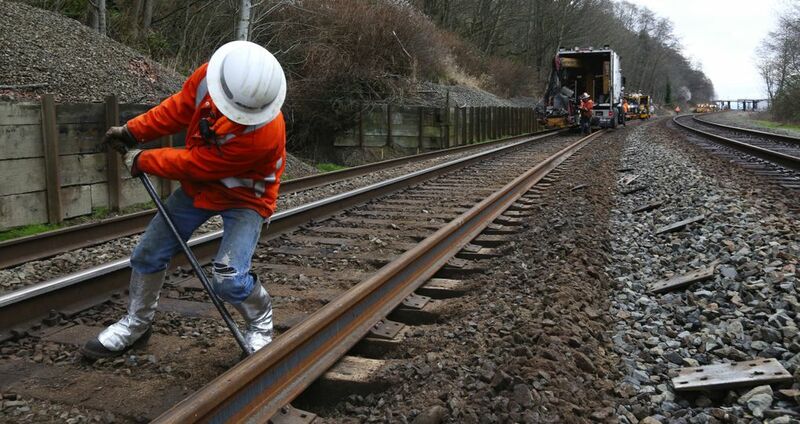 A draft state study of oil transport in Washington recommended giving the UTC authority to inspect private railroad crossings, where accident rates in Washington are higher than the national rate for private crossings. The commission also proposes increasing the number of federally certified inspectors from four to nine. A House bill would fund the additional inspectors, according to Lewis. 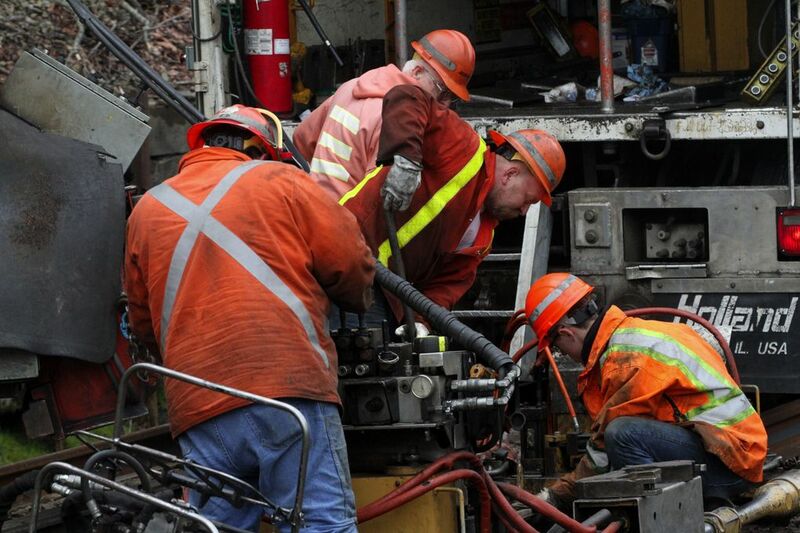 Meanwhile, the Seattle Fire Department has been monitoring the increased oil-tanker traffic through rails that thread though the south end of the city and then dive through a 109-year-old tunnel downtown. Assistant Fire Chief A.D. Vickery hopped aboard a BNSF train from Everett to Tukwila and says he was impressed with the company’s safety culture. But he has plenty of concerns, including the tunnel. Vickery says the downtown Seattle train tunnel lacks important safety features such as ventilation and emergency communications, and the Fire Department has raised those shortcomings with BNSF for more than a decade. 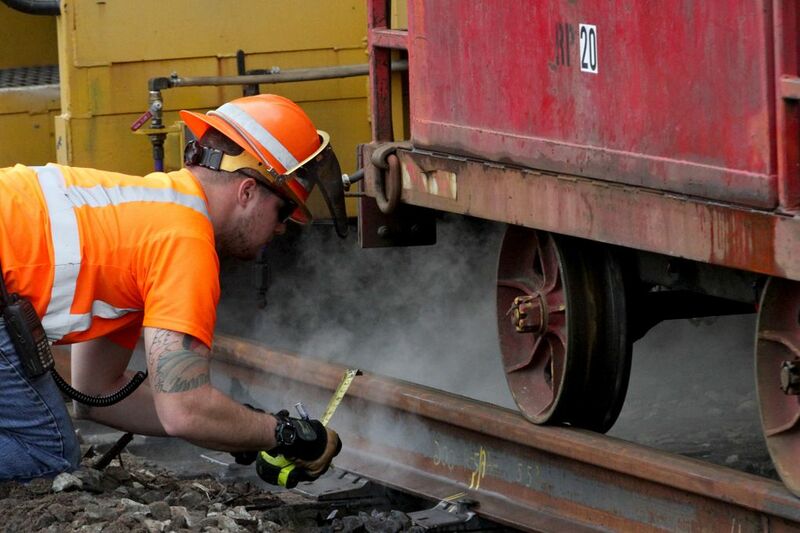 Melonas, the BNSF spokesman, says the railroad has installed fans at either end of the tunnel, provided a trailer with firefighting foam and is studying other improvements. Vickery also is hoping for more assistance from the state. He would like to see funding to form regional teams that could respond to a derailment that ignites oil from multiple cars. Hal Bernton: 206-464-2581 or hbernton@seattletimes.comBusiness reporter Ángel González contributed to this report.